If you have an elderly family member who needs increasing amounts of care, you have likely already considered the possibility of hiring an in-home caregiver. In Carlsbad and throughout San Diego County, people have experienced the freedom that this kind of professional care provides. But if you’ve never gone any further than thinking about this option, the reason is probably the financial burden: isn’t it expensive to hire someone to come to your loved one’s house and provide care? The most common mistake in analyzing the affordability of hiring a professional caregiver is comparing it to the wrong thing. For example, you may be able to drive your aging parent to the doctor yourself, instead of paying a caregiver to do it. But those responsibilities add up, and eventually it becomes impossible for family members to keep up with them while providing their own families’ needs. Instead of taking this approach, compare in-home care with the cost of long-term care in a nursing home. 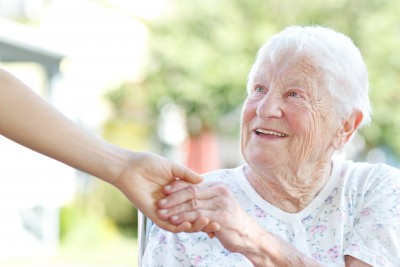 If an in-home caregiver in San Diego County can give your loved one the ability to safely live at home longer, you will save thousands of dollars compared with nursing home care during the same time period. Quite often, a qualified caregiver can easily keep a senior’s house clean and safe as well as help with transportation, shopping, and other simple tasks, all at a fraction of the monthly fee that a nursing home would charge. Don’t make the mistake of assuming that there are only two possibilities: stretching yourself too thin between your parents and your children, or placing your parents in a long-term care facility. In-home care can fill in the gap, keeping your loved ones comfortable at home and giving you the time you need for all members of your family.